Erika Eich and I have been collaborating on a presentation on October 31st for the 2009 ISLMA Conference, Embracing Change. Our focus was Using Google Docs, especially forms, for student feedback and teacher collaboration. The New Trier Library pages have many examples of how we’ve used this tool, including surveying interests before a project, assessment, and reflection after a project is completed. We’ve even used this feature to help students “Ask a Librarian”. So create an account OR login here and have fun experimenting! Forty years ago , two guys in California sent a five-letter message over a primitive computer network. Enjoy Public Radio Morning Edition's "shout out" to this event and see just how far we've come. Do you know about the Library 101 project? The event took place at Internet Librarian October 28th in Monterey, CA where Librarian and Michael Porter (aka Libraryman) and Librarian/Author David Lee King launched the Library 101 Project. Check out their new website. I thought the Libary 101 song was quite annoying but am looking forward to reading several essays which support the needs of librarians trying to navigate the "still-emerging landscape" of changing technologies. Just another quick reminder that Howard Gardner, author of Five Minds for the Future, will be speaking at Gaffney Auditorium tomorrow evening, October 29th at 7:00pm. More information is available on the Family Awareness Network (FAN) site, including details about the Parent Discussion Groups to be held November 2nd. Google Sites makes it easy for anyone to create and manage simple, secure group websites. You can create and publish new pages with the click of a button, edit web pages like documents. If you have not yet seen this article, be sure to read, “Things that Keep Us Up at Night” by Joyce Kasman Valenza (JudyG’s guru) and Doug Johnson (speaker for our copyright session at ISLMA last year). It makes many, many provocative comments on topics of importance (e.g., use of space, copyright issues, social media, reading, intellectual freedom and more) to the future of librarianship and has generated quite a bit of debate, much of which is linked from Doug Johnson’s Blue Skunk Blog and Joyce Valenza’s NeverEndingSearch Blog. This article seems sure to be a topic of conversation at ISLMA and AASL. 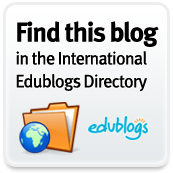 Consider adding your own comments to one of those blogs or add them right here. As you read the article, what’s an idea that strikes you? Shared by teacher Richard Byrne with a shout out to Joyce Valenza post on Twitter. Wouldn't have found it without Twitter. 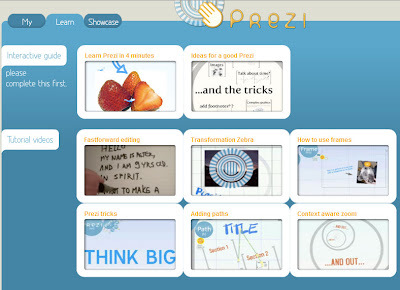 Visit Prezi for a preview! Learn how to use Prezi --great Flash CS3﻿ presentation software. From the PBS web site: PBS Teachers is hosting a free webinar for educators on Thursday, October 22nd at 8 p.m. ET to showcase its recently updated website. PBS Teachers relaunched during the summer of 2009 and continues to roll out new Web 2.0 functionalities and new and reorganized content. The redesigned website makes it easier and quicker for educators to find appropriate instructional and professional development resources from across all PBS' education services. During the webinar, PBS Teachers staff will provide a tour of the site, including search and browse functionalities that let educators access resources related to PBS on-air and online programs and information on exclusive content such as the PBS Teachers Activity Packs and Media Infusion blog. I discovered this on Twitter via Joyce Valenza. Bookmark your favorite tv shows, movies, webcasts, news clips, music and viral videos from hundreds of online sources in one location. * Save videos to watch them later and never waste time searching for them again. * Keep tabs on your favorite live web shows and get notified when they are on air. * Share and discover videos between friends, family and colleagues effortlessly. How can we help students who procrastinate? What do students say about Wikipedia? What do students say about frustrations in conducting research in the digital age? The video's content is drawn from the PIL Discussion Groups, held on seven U.S. college campuses during fall 2008. Public service video (June 2009). What is Google Wave? It's succinctly described as a forum by one commenter who recently viewed the YouTube video. The Mashable website reports on ways to procure an invite to Google Wave which has the "potential to change the web". I have applied for an invitation, but haven't heard anything yet. When you get an invite, invite me into your discussion. Google is rolling out 8 other search options available to everyone today. Those include the ability to search within a specific date range, shopping site filters, a visited pages filter, and an option to see only results from Google’s book, blog, and news search tools. Wonder wheel - -check this out!